A merchant bank account is a financial service that provides the connection between the acquiring bank, the merchant and the merchant service provider. A merchant account enables businesses to legally accept payments from cardholders via credit or debit through a secure channel. Different from normal bank accounts, a merchant account doesn’t hold any money. Instead, it can be seen as a certain type of gateway through which a card payment passes. If you need professional advice on finding the best merchant account services, Market Inspector can provide you with its complementary service. Just fill in the contact form on the right and get up to 4 non-binding quotes tailored to your business. Why Does Your Business Need a Merchant Account? The bank issues a credit or debit card to a cardholder for shopping purposes. With each transaction, a payment request passes the payment gateway to the bank. The bank then sends the request through the relevant card scheme, e.g. Visa & Mastercard for authorisation. When approved, the merchant bank account holder can complete the purchase. Due to the revolution brought on by innovation and new arising technologies like: smartphones, e-commerce growth and Omni channelling, retailers nowadays have to adapt to the enormous changes and provide multiple payment methods. E-commerce is booming and the consumer demand is driven by personalisation and convenience. Considering these major shifts, merchant accounts provide an opportunity to effectively influence the customer’s entire shopping experience. Merchant accounts provide an opportunity to get valuable insights into consumer behaviour. The business can thereby provide tailored services and personalised solutions to each need, as well as enhance their CRM systems and create relevant content. As many of you surely have experienced with your own business, there are always pros and cons when it comes to a committed contract with another company. Considering merchant accounts however, the following bullet points clearly outweigh the cons. As mentioned above, merchant bank accounts offer an opportunity to legally accept credit or debit card payments through a secure channel. The process involves several requests and will first be authorised after collecting and analysing essential funds from the bank which issued the card. Additionally, all participants must play by the regulations setup by the card associations, such as Visa or Mastercard. This system enables merchant account holders to complete transactions with unfamiliar cardholders without exposing themselves to any risk. As credit card orders are larger in number than check and cash orders, merchant accounts become a cheaper option to complete transactions. The risk of employees giving out the wrong amount of change decreases, checkout lines become faster and an increase in sales are some of the improvements that you will begin to notice with a merchant account. On top of that, investing in a card payment machine for your small business can further reduce your operating costs. It is important to do your research to find the type of card reader your business needs most, for example mobile card machines could be a great option for restaurants and cafes. Unfortunately, the risk of fraud in online businesses is still a reality. However, due to new technologies and tightened regulations, such possibilities become more and more rare nowadays. When applying for a merchant account, the companies are evaluated amongst others on how well established they are and if doing business will bring both parties any profit. There are certain businesses, the so called ‘high-risk’ businesses which may have a hard time finding a merchant account provider. According to Euromonitor, there are major shifts in consumer behaviour. Multifunctionality is key. People expect convenient touch points and a ‘time-well-spent’ shopping experience. Retailers are exposed to constantly changing challenges. Implementing convenient payment methods such as merchant accounts is fundamental in order to survive the fierce competition. If you need a merchant account or simply more information about merchant services, complete a quote request for free. Our customer service will be happy to help you find the best merchant service provider for your business. Merchant account services are mostly known under the term ‘credit card processing’. The service enables businesses to accept a payment through a secure channel by using the customer’s debit or credit card. The most popular payment method amongst consumers is debit and credit. Due to arising technologies however, there is an increasing possibility of mobile payments replacing physical cards over time. 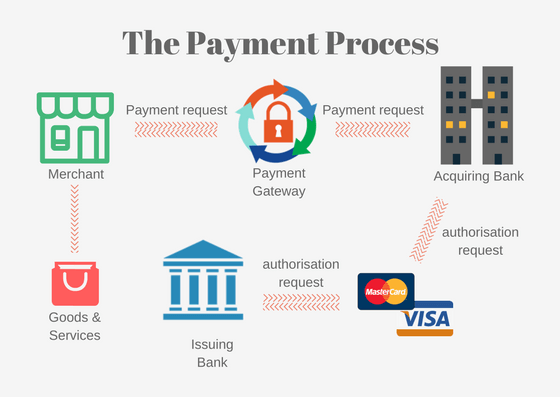 The payment gateway processes payments from customers that are doing a transaction on a website. This type of online merchant account service enables e-commerce businesses to receive the necessary authorisation for card payments through a secure channel. In retail stores, it is commonly known as the check out point, POS covers all software and hardware that make it possible to accept payments via credit card terminals and cash registers. Most of them have touch screens with innovative programs that enable the cashiers to get accurate product and price information in order to complete a transaction more smoothly. This merchant service gives customers the opportunity to make a payment without having to use a physical credit/debit card, or a physical check. Mobile payments are a convenient payment method, where the customer just needs to utilise a PIN, instead of entering the whole credit card information each time. Loyalty programs are an easy and efficient way for a merchant account holder to maintain a good relationship with its customers. The program rewards consumers with club cards or special discounts for making their purchases in their business and being loyal to their brand. There are many players within the payment processing industry in the UK. Each of them provide multiple services with a wide array of features and highlights. With so much information online, it can be quite overwhelming to compare different merchant service providers and make informed decisions. The following companies are the most popular players in the UK. Check the table below to get further information on their offerings. A merchant number ID is set up explicitly for each merchant account and will be assigned from every bank, no matter where the merchant account is held. The ID consists of a sequence of numbers, which allows banks & credit card institutions to identify all businesses. The ID is fundamental in order to accept credit card payments on behalf of the merchant account holder. In order to receive a merchant number, the bank must first be convinced that the applicant is trustworthy. When a business applies for a merchant bank account, each application goes through a variety of processes. Some of these processes will focus on the trustworthiness of the business and a risk-analysis. In case the merchant service provider agrees to set up a merchant account with a business, it can take up to 1-7 weeks. It is important for the applying merchant to ensure that the merchant service provider understands their business model. The application undergoes a thorough KYC analysis, including any relevant information to the screening process. Besides the directors of a business, the business model itself will be analysed as well. In terms of e-commerce, the company applying for an online merchant account will be analysed on if the website exists and if the URL is directs to what it should. As mentioned above, it is essential for both the business and the merchant account providing company to ensure that both companies are well established and that doing business will bring profits for both participants. There are certain types of companies that are considered riskier than ‘traditional businesses’. If a business is classified as ‘high-risk’, it is most likely due to the industry the company is operating in. When a company is marked as high-risk, it will be more difficult for them to connect with a company that is willing to provide them with a merchant account. Nevertheless, there are various merchant service providers that are specialised for these types of businesses. High risk businesses still have the ability to accept credit card payments and operate just as any other company. However, there is a great chance that banks will demand more background information and financial statements before actually agreeing on setting up a merchant account. Additionally, there might be differences in the processing rate. Whilst having an agreement with a high risk business, merchant account providers expose themselves to a higher risk than with traditional businesses. When the merchant account holder can provide a positive processing history of at least 6 to 12 months where the percentage of chargebacks and refunds remains fairly low, there is the chance for the business to be reclassified as low-risk. If you wish to get professional advice on merchant accounts, feel free to fill in the form on the right. Our suppliers will provide you with non-binding quotes and guide you in your decision for the best merchant service provider. After a merchant service provider accepts a business as a merchant, the holder of the merchant account needs to pay the account setup fee. Commonly, this fee differs from several hundred to thousands of pounds. Merchant accounts often have many types of merchant account fees, which can be confusing. These fees vary greatly depending on the service provider. While they should not be the main ruling factor in choosing the provider, it is still strongly advised to get a clear understanding of certain costs before making a commitment. A transaction fee is charged per transaction, whether the payment is approved or rejected by the card-issuing bank. Depending on the type of transaction, there are different fees set. Transactional fees appear as the biggest cost of maintaining a merchant account. For credit card transactions, the fees tend to lay between 0.5% and 4% on average. When it comes to debit card transactions, the fee is between £5 and £50. In case of a chargeback or refund, the company can expect a fee of up to £12 - £20 per matter. Incidental fees are only charged per incidence. For instance, in case of a chargeback or a refund, you have to put a chargeback fee into account. In case there are any chargebacks, the merchant won’t get charged by the merchant service providing company. It is strongly advised to keep track with the fees, as there are more than just chargebacks that are classified as incidental fees. These fees are charged from merchant accounts that are set up for physical retailers, where customers swipe their cards at a terminal. Merchants with online merchant accounts, don’t have to take the above mentioned fee into account. Payment Gateway Fees are charged by businesses that set up an online merchant account for e-commerce purposes. Annual fees are charged each year to cover the basic use of the service. Some merchant account providers don’t charge an annual fee. An early termination fee is charged in case the merchant cancels the contract earlier than expected. In other words - another unnecessary fee that one might want to avoid. These fees are charged per month, commonly in order to cover call center costs. The prices can differ on average from £5 - £40. A majority of merchant service providers set a minimum monthly fee, which means that the account holder needs to reach a minimum amount in transaction volume every month. If the business does not reach the certain amount, the provider will charge a fee to cover the difference. For instance, if the merchant account provider sets a minimum of £150 and the merchant makes only £100 in card transactions in a month, the merchant needs to make up for the difference and pay the provider £50. There are various companies offering merchant account services in the UK, and it is fundamental to thoroughly compare different offers in order to find the best merchant account provider for your business purposes. Let us make your life easier in finding the best merchant service for your business. All you have to do is fill in the form and get up to 4 non-binding quotes for free!